The Apache has been a force to reckon with right from its launch. Despite being potent and fun to ride, the motorcycle has been wanting for an update for quite some time now. Although the rumour mills were busy with stories of a capacity bump up, the truth is that the 2012 Apache Series RTR has benefited from a styling update alone. Daytime running LED pilot lights have been fitted on to the new fairing and redesigned tank shrouds adorn the tank. The digital console has been muscled up and the side panels have been sharpened to a razor edge. Other tweaks include an engine cowl, among other things. The frame, suspension and powertrain, however, remain predominately unchanged. The 2012 Apache will be sold with four dual tone colour options and is available in TVS showrooms across the country with immediate effect. 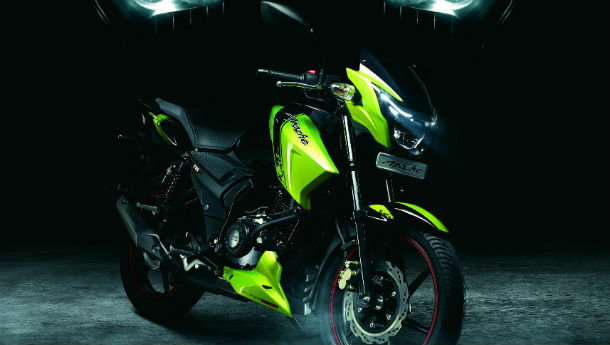 The RTR 160 is priced at Rs 67,505 while the 180 will be priced at Rs 72,090. The RTR 180 ABS will now set you back by Rs 82,780. All the mentioned prices are ex-showroom, Delhi.